Double suction hook is constructed with high impact clear plastic. Innovative Power Lock design provides maximum suction on smooth non-porous surfaces such as tile glass fiberglass and some metals. 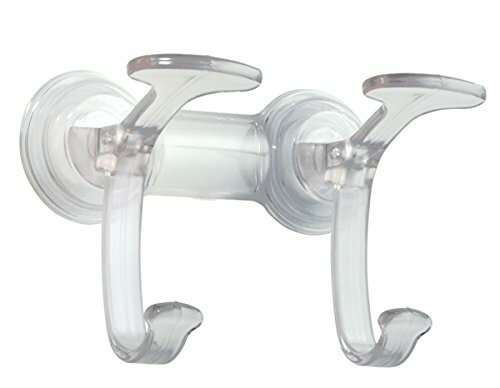 Suction hooks attach by simply pushing the cup against a surface and locking the hook into place. Suction seal is released when hook is lifted back up. Great for hanging shower and bath accessories in a bathroom or kitchen utensils and tools on a tile backsplash.